The AEVA National AGM is coming up in October. This year it's in Adelaide. Bookings are now open for the Conference on the Friday. There is a small charge of $15 for AEVA members to cover the catering including a light lunch. Make sure your membership is up-to-date! The general admission booking cost is $35. This will be $50 at the door if there are any seats left. The actual AGM will be on the Saturday around 11am after the Member's Workshop. We are also organising a bus trip (wine tour) of the Barossa Valley for the Saturday. This is for the wives, husbands, partners, friends of AEVA members who have no interest in the AGM and other activities on the Saturday. There is a maximum number of 21 for this trip, so get in quick. Booking is essential for both events. 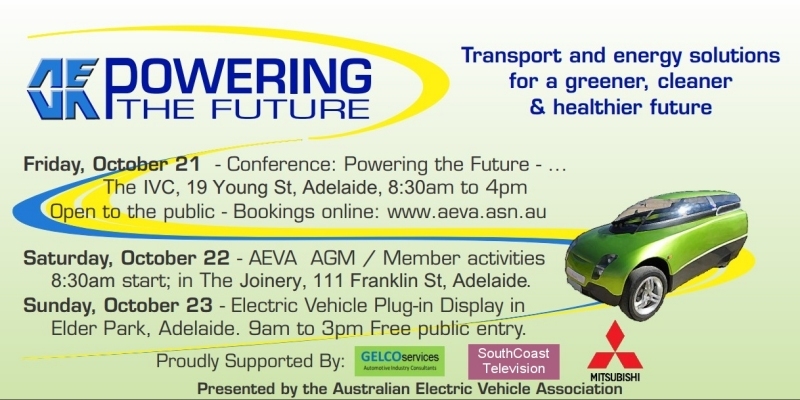 On the Sunday, we are having a Plug-In Expo in Elder Park (Adelaide) on the banks of the River Torrens. This is a free event open to the public. Last edited by evric on Wed, 31 Aug 2016, 12:33, edited 1 time in total. 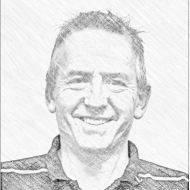 Looking forward to the conference and meetings and workshops. See you all tomorrow! Welcome to wet Adelaide - it should get better as the days go on! Last edited by evric on Sun, 23 Oct 2016, 19:08, edited 1 time in total. A fantastic weekend and a very productive conference and meeting. The bar has been raised for Tassie, that's for sure. Well done to Eric, Paul, Sally, Terry and the many others who helped the SA branch put on such a great show.